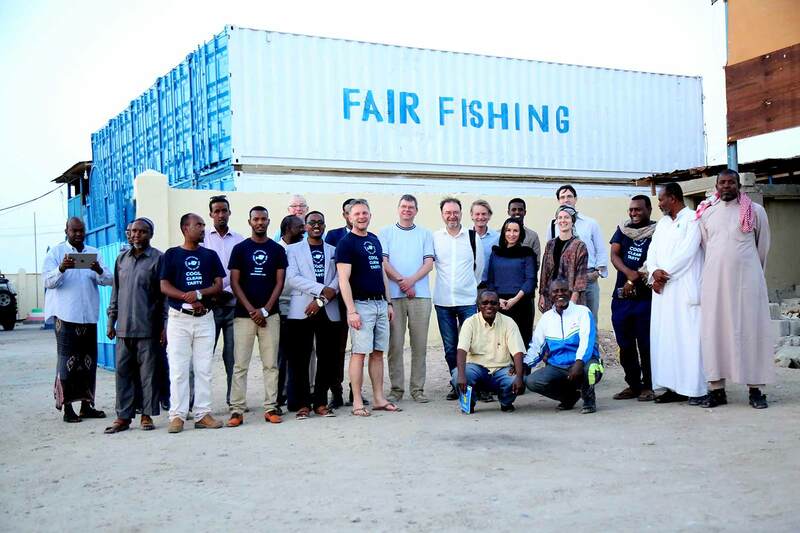 FairFishing Board consist of a bunch of hands-on practioners from private sector, international development specialists, the marine and somali diaspora. A Copenhagen based secretariat, and two local management teams in Berbera and Bosaso. Currently, we employ around 40 people locally. We value a strong local ownership – with the partners of the facilities involved in the operations. The timeline below outlines how we got here. Journalist Jakob Johannsen, married to a Somali woman, contacts Claus Bindslev with a proposition to “turn Somali pirates into fishermen”. They then contact international development journalist Knud Vilby. Together they agree to start a fishing project in Somalia. Real admiral Nils Wang, Mahad Aden, internal auditor at Danish National Bank, skipper and fishery expert Kurt Bertelsen Christensen and Somali diaspora Said Hussain joins the team. In October 2011, the first board is established, consisting of Jakob, Claus, Knud, Mahad and Said. Christian Balslev-Olesen joins later. American Arsenault Family Foundation makes the first donation of USD 20.000 for a fact-finding mission in Somaliland. Purpose: Is fishery even possible – if so, how? Mission results: There is no fishery infrastructure at all in Somaliland – everything has to be built on scratch. It is decided to not choose one local partner, but to be inclusive and welcome anyone interested to cooperate. Two new members of the board: Nils Wang and ship owner Per Gullestrup – whose own experience of having a ship highjacked by pirates was the basis of the movie ‘The Hijacking’. A processing facility is developed; using five 40-foot reefer containers donated Mærsk Line as the source of infrastructure. An ice machine is purchased. 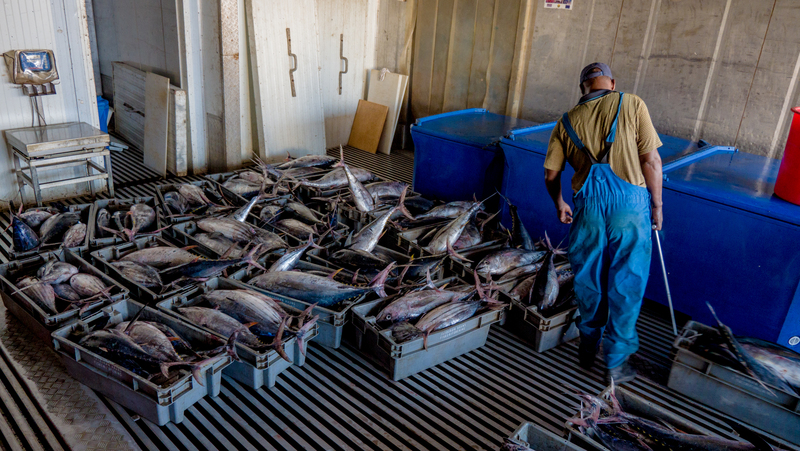 FairFishing receives an increasing amount of both in-kind and economic donations. It is a local NGO, non-profit, where income from sales of ice and services at the station pays for local wages and running costs. FairFishing is getting more attention in danish media and among local ministries and authorities, but still no public funds. At a (very) critical point, A.P. Møllerske Støttefond donates USD 500.000, so the station that is now running can be supported and developed to secure financial sustainability and organisation for the future. Elsebeth Krogh, Danish Institute for Human Rights, joins the board, and Toyah Hunting works in secretariat as Head of Partnership and Communication. Nordic Consulting Group conduct an Impact Assessment (funded by MAERSK) and present the first results: increased income, more jobs and social improvements. EU reward FairFishing with a direct grant to expand and develop the concept to several locations in the Horn of Africa the coming three years. The aim is to create income, livelihood and nutrition to populations in the Horn of Africa through development of the small-scale fishery. The organisation grows due to the new EU program, with extended program management in Copenhagen and two local management teams in Berbera and Bosaso. Toyah Hunting joins the board. The year is spent with feasibility studies, developing business plans, negotiations wit stakeholders and construction of fish facilities. A new partnership is entered with Trafigura Foundation: aiming to create better living through fresh fish. Focus on strengthening the whole fish value chain in order to develop a sustainable chain from sea to consumer. Nordic Consulting Group presents findings from a new impact assessment in Berbera: increased income, more jobs, business opportunities for women and changing status of fishing in society.